It has recently been announced by the city of Brussels that its preferred partner for the construction of the new national stadium to be built on the Heyzel plateau is the BAM consortium led by Ghelamco. The company already has a considerable reference in the domain in Belgium, having built the ‘world stadium of the year’ just outside Ghent. The new stadium will have seating for 60,000 and 10,000 parking spaces. 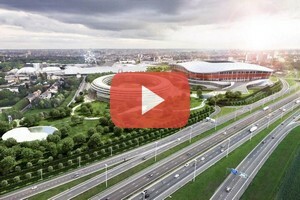 If all goes according to plan, the permit process will commence in June and the stadium will be completed in 2019 – ready for the 2020 European football championships, for which Belgium is bidding. 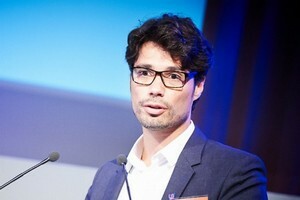 Kristiaan Borret took over from Brussels' first ever Master Architect, Olivier Bastin, last November. 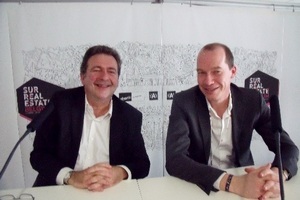 The new Master Architect for the Brussels Capital Region has been introduced to the Belgian real estate sector by Minister President Rudi Vervoort at Mipim. The past functions of the architect include 8 years as Master Architect for Antwerp, a factor which Rudi Vervoort had said doubtless helped him win the selection process. Kristaan Borret insisted on the fact that it is now time to act, now time to build. The new Master Architect believes that it is wrong to assert that Brusels is lacking in vision – indeed the problem may be that there has always been too much vision, needing a higher degree of concertation. 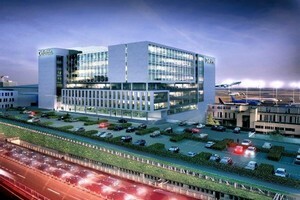 Befimmo has announced that it has reached an agreement to purchase, from Codic and Immobel, the Gateway building located within Brussels Airport and let to Deloitte Services and Investments for an 18 year period. 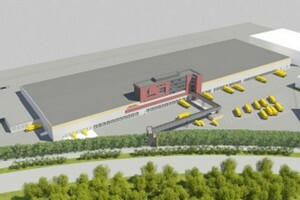 The Gateway project sees the redevelopment of the former office building alongside the original terminal of the airport. Its location right inside the airport will mean that it becomes a core element within the office portfolio of Befimmo. Gateway totals some 34,000 m² and has been conceived to achieve BREEAM Excellent certification. As well as office space, it offers restaurants, fitness rooms and 398 parking spaces. The transaction is stated to have been made at a sum of 140 million Euros. Real estate broker and advisor JLL has released the final take-up figures it recorded for the last quarter of 2014, and the year as a whole. It reports that the last quarter of the year was marked by mid-size deals, registering 112,256 m² of transactions, 55.4% more than in Q3 and 79.5% more than a year ago. 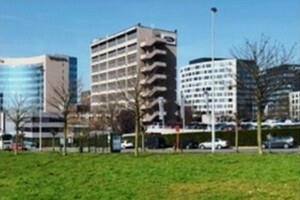 Local administrations were once again responsible for important transactions such as the Municipality of Uccle which acquired a 13,000 m² building in the Decentralised, Saint Louis University which acquired a 11,000 m² building in the Pentagon, and Ares which took 1,800 m² in the Pentagon. Full year take-up was above the five year average. CBRE has advised Irish Bank Resolution Corporation Assurance Company Limited, specialized in pensions and investment products, in the sale of its Belgian real estate portfolio managed by Tribeca Capital Partners. 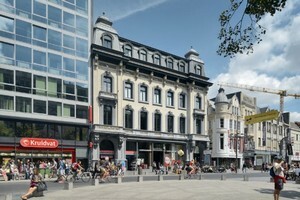 The portfolio was made up of three properties located in Belgian prime locations – the Meir 23 (Antwerp), the ‘Centre Etoile’ & Louise 165 (Brussels) – and were acquired in 2006 from the financial services company Crédit Suisse. The Meir 23 was acquired by GH Group for an investment value of some 35 million Euros. 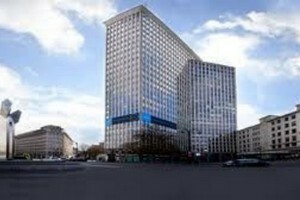 Ghelamco Invest has acquired both Brussels’ properties for an investment value in excess of 24 million Euros. For some time citydev.brussels has been emphasizing the need for more residential development in the region. The forecast substantial increase in population makes the need to provide more housing a major priority. To help achieve this, the organisation has committed to producing at least 1,000 units per year. This time, citydev is proposing a formula to private developers whereby they form a partnership with itself in the context of a specific development. The type of residential units to be produced via this public private partnership would come into the category of ‘medium level, subsidized’. 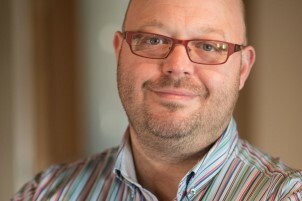 Managing Director Benjamin Cadranel summed up the advantages of this system. 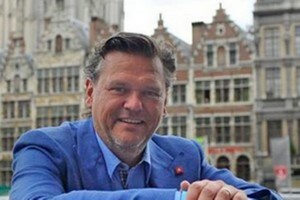 During the annual Mipim real estate show in Cannes, Brussels Minister-President Rudi Vervoort announced that another step in the rehabilitation of the Canal Zone had taken place. 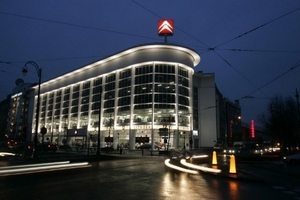 The Region is now able to proceed with locating the Museum of Modern Art in the Citroën building located at the junction of the canal and the inner beltway (Place de l’Yser), as it has now agreed the purchase of the emblematic building from previous owners PSA Peugeot Citroën. Rudi Vervoort described this part of the Canal Zone puzzle as ‘crucial’, as it adds a new dimension to the mixed character the Region is intending to bring to the zone. While Brussels appears to constantly suffer from over-supply in office buildings, Liège has for many years been characterised by under-supply. The construction of three emblematic buildings – Médiacité, the new Guillemins station and now the Finance Tower – will act as a catalyst for the redevelopment of the city centre districts. A study recently published by Immoquest analyses this market and outlines the perspectives for development. In order to ensure that its study is objective in nature, Christophe Nihon, Manager from Immoquest has drawn up with his team the transaction figures for this market over the past five years. CBRE Global Investors, acting on behalf of the CBRE European Office fund & the Investa Office Fund, has announced the completion of the sale of 100% of the shares of ‘BastionTower I SA’ to Schroder REIM, acting on behalf of two clients. 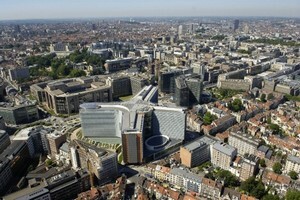 The 35,000 m² Bastion Tower comprises 26-storeys of office space and has a height of 100 metres, making it one of the most famous office towers in Brussels. It is located on the Place du Champ de Mars, on the Brussels inner ring road, which means it forms part of the Brussels European District. The offices have been let to tenants including Freshfields Bruckhaus Deringer, Michael Page International and the Embassy of Austria. DHL – the global market leader in the logistics industry and “The Logistics company for the world” – has consolidated its airport activities at Brussels Airport by signing a cooperation agreement for the construction of a new hub in Brucargo. The logistics company will rent this building for a fixed 15-year period and expects the building to be operational by the fourth quarter of 2016. MG Real Estate (which is part of the De Paepe Group) will be responsible for this development comprising the build-to-suit construction of a storage area of around 31,500 m² and an office area of some 5,000 m². 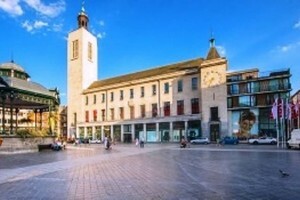 IVG Institutional Funds has sold the shares of the Immo Feest en Cultuurpaleis Oostende NV, company which owns a prime retail shopping complex located in Ostend, to Union Investment on behalf of UII Shopping Nr. 1. The complex is known as the Feest en Cultuurpaleis in reference to its original use, and is located in the heart of Ostend. It benefits from outstanding visibility thanks to its location on the Wapenplein, which forms the junction of Kapellestraat and Adolf Buylstraat, the two ‘high streets’ of the city. Completely redeveloped in 2007 when purchased by IVG, the property comprises around 5,633 m² of prime retail area. A large transaction has taken place on the Brussels periphery. CBRE has assisted the owner of a large office complex – who has not been named – in in a major sale and leaseback transaction. The office complex comprises 3 office buildings totalling 22.750 m² of space within the decentralised area of Brussels and was sold to AXA Belgium for a total consideration of 34.800.000 Euros and leased back for a term of 12 years by the seller. The property is strategically located and benefits from various local amenities and public transport facilities such as the train, bus and tram, as well as from the proximity to Brussels Airport. 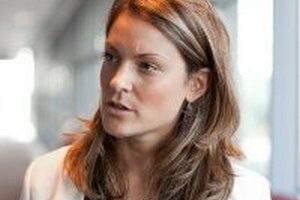 Municipal authorities are examining how they can strengthen their commercial centres, brownfields are being developed into new urban districts, functions such as housing and offices are being adapted to the needs of the time... The 6th Provincie Antwerpen Vastgoed seminar takes a look at regional real estate developments together with municipalities and leading market players. During the real estate event held at Café Horta, the focus will be on how this is playing out in the Province of Antwerp. Chances, opportunities, expectations, and of course the office market will all be discussed. The event will conclude with a debate on ‘strong cities’. 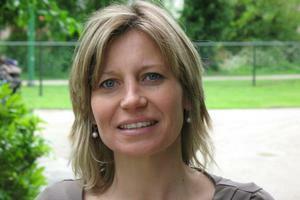 Amongst the participants will be Greet Greypen, alderman for spatial planning of the City of Mechelen. Organised by the Territorial Development Agency (ADT) and the Brussels Academy. Training organised by Leefmilieu Brussel/Bruxelles Environnement. Training organised by Bruxelles Environnement.